This week we have a giveaway of SIX Gilgamesh Cowl Kits from Kraemer Yarns! The Gilgamesh Cowl Kits can be found here. Kraemer Yarns is currently running a promotion for 20% off for orders over $15. Use the promo code “Thanksgiving” at checkout from November 21 – 26, 2018. One use per customer. You can add this pattern to your Ravelry queue here. Are you celebrating the return of sweater weather? Here are a few ideas from our pattern collections, kit options, and patterns from indie designers on Ravelry. Cast on and get cozy with your favorite Kraemer Yarns! Our pattern collection includes cardigans, pullovers, vests, for your whole family! Above are just a few of our favorites. From left to right: the Mission Furrows Jacket in Naturally Nazareth, Child’s Mock Cable Sweater in Perfection Worsted, and Changing Tides Unisex Sweater in Naturally Nazareth. Our kits bundle up both yarn and pattern, so you’re ready to begin once your order arrives! The Sporty Stripes Hoodie Kit in Perfection Chunky and the Weekender Hooded Vest Kits in Perfection Super Bulky are quick knits you’ll love to layer. Kits are great wishlist items to add to your wishlist too if anyone thinks you are hard to shop for! Cables are a classic! 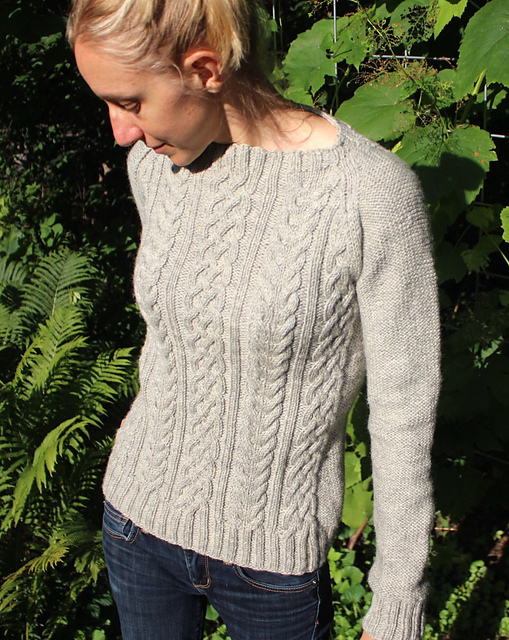 The Phoenix Pullover, by Melissa Littlefield, is available to purchase on Ravelry. Naturally Nazareth is called for in the pattern and is a beautiful woolly choice for a crisp definition of the cabled stitches. For a delightful twist (pun intended) check out the Cabled Sleeves Pullover by Melissa Metzbower. This slouchy sweater is easy to pair with leggings for relaxing over the weekend. 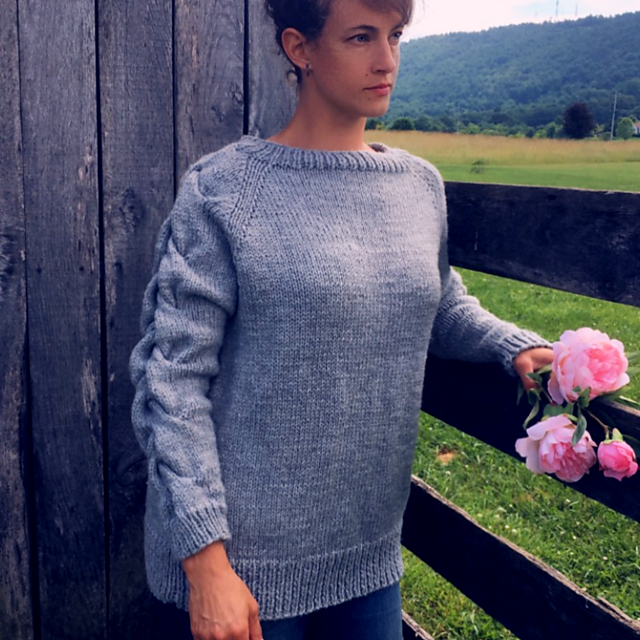 Knit in Perfection Chunky makes this a sweater that you'll be wearing not too long after casting on! We love seeing your sweater projects go from stash to in-progress, to proudly worn finished object! Share your photos with us on Facebook and tag us on Instagram! Planning future sweater projects? Don’t forget to pin this post for inspiration! After spending most of last month working on a top secret test knitting project, it feels like forever since I've gotten to share a finished knit on here. I have an uncomfortable (for me) amount of WIPs currently on the needles at the moment, and my hope is to spend November fixing that problem so that I can start some new & exciting projects over the holiday break next month. Back in September, I was sent some yarn for review from the generous folks at Kraemer Yarns, who have provided yarn and fiber for several reviews over the past few years, such as July's needle felted ornament tutorial, the Knit for Baby sweater kit review from this past Spring, and a solar yarn dyeing tutorial from 2016. Each time, I've been impressed with the products they send me, which are all beautifully made at their mill in Nazareth, Pennsylvania using domestically-sourced fibers. After working with the Mauch Roving for the needle felting tutorial (and also carding the leftover fiber into batts and spinning with them! ), I was excited to try the yarny counterpart to the Mauch line, and the idea of an instant-gratification project was pretty irresistible. Perfection Super Bulky is a super bulky (Yarn Weight #6) blend of domestic merino and acrylic. Is a soft, easy care wool blend that won’t break the bank. Our Mauch Chunky Roving is one of our most versatile offerings - it can be used for handspinning, wet felted or needle felted to create shapes and solid fabrics, added to a weaving project as an accent, and it also is the prepared fiber that we spin into Mauch Chunky yarn. This 100% US wool fiber does it all! Today, we round up several project ideas and tutorials for Mauch Chunky Roving to inspire you to take a stab at a new project! Wet felting involves hot water and agitation to force the fibers together to make a solid fabric. 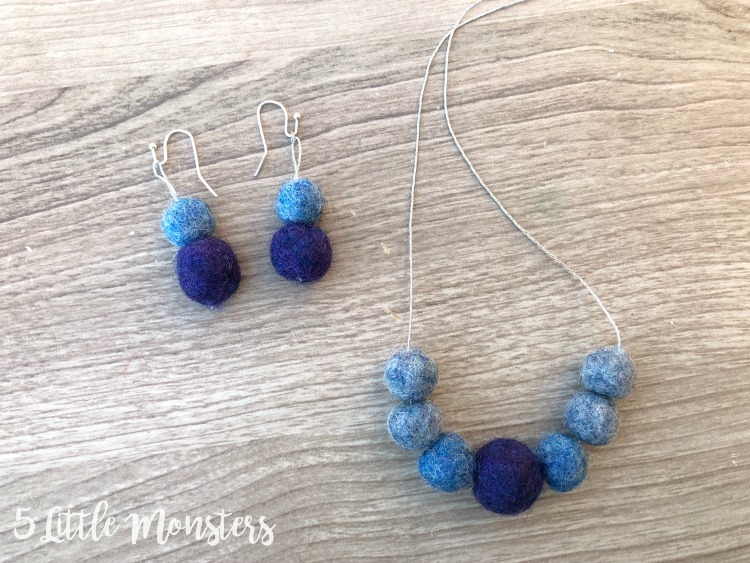 Erica used bits of Mauch Chunky Roving to wet felt a beautiful Felted Wool Ball Jewelry set. You could also use this technique to create garland strands! Our roving sets contain eight colors per set, perfect for items like this. Laura shared this in our Facebook Group and we had to share! She made this rug as a wedding gift with Mauch Chunky Roving in Blueberry Ice and Blue Lagoon. Each of the 93 “beach rocks” are wet felted, sewn together, and attached to a sturdy webbed backing to create a rug that measures approximately 23" x 28". Needle felting involves stabbing the fibers repeatedly to tangle the fibers together with a barbed needle. Stefanie used Mauch Chunky Roving with cookie cutters to make several needle felted ornaments. What a great idea and a quick weekend project! Her blog post includes a straightforward tutorial with lots of handy tips. Click here to read her DIY Needle Felted Ornaments post. Here at Kraemer Yarns, Sharon took roving from the Irish Pub sampler to wrap around a plain embroidery hoop. Next, she took thread to string back and forth inside the hoop. Sharon free-handed her needle felted feathers, but you could use a cookie cutter shape to guide you. Voila! It’s a quick and easy craft that results in a great wall hanging for your home. Share your fabulous felting projects, tips, and tricks with us and inspire others! Connect with us on Facebook or Instagram so we can share in your project success! A few years ago, I spotted some cute needle felted ornaments on Pinterest that were made using cookie cutters to create the shapes. How clever is that?! Ever since, I have been thinking about giving it a try myself, and finally decided to take a stab at it for my Christmas in July theme. Pun very much intended - please feel free to roll your eyes accordingly! tourdefleece2018 Day 11: I just pulled a few colors out of the Mauch Chunky Roving sample box from @kraemeryarns. Laura has been spinning from her sampler box to create mini skeins and will be knitting a colorwork project with them soon!